The term “Criminalistics” comes from the Latin word “crimen” (=charge, misdemeanor). Colloquially this term is often mistakenly used in the same way as criminology. Criminalistics deals with methods to combat criminals with the use of preventive (pre-emptive) means and prosecuting (repressive) measures. While criminology is the study of the crime itself. 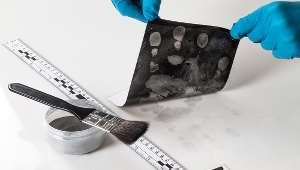 The aim of criminalistics is finding forensic evidence and the suppression of criminal activities. Just like forensics, criminalistics became a separate discipline in the middle of the 19th century. It is divided into several sub-disciplines, such as forensic science or crime strategy. Before the beginning of the 19th century, traces at the crime scene had only low importance. One relied on statements of witnesses or defendants, who were tortured or harassed to make a confession. Methods for the investigation of a crime or potential punishments always depended on the prevailing world views and overall circumstances. New progress in the fields of photography and medicine contributed to the further development of the investigation of crimes. For example, a prominent criminologist and anthropologist named Alphonse Bertillon showed eleven physical characteristics in order to create a comparison for the identification of a person. However, Bertillon’s method was too faulty and too laborious to prevail outside of France. Nevertheless, he is considered the founder of forensic science. By the end of the 19th century the British scientist Francis Galton developed dactyloscopy (fingerprint data) as a basis for identification of offenders. In comparison to Bertillon’s approach a single, non-changing body feature, the fingerprint, was enough to identify the perpetrators. 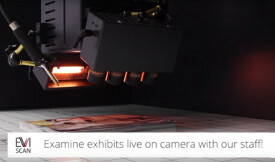 EVISCAN is more and more known in criminalistics as a new innovation to detect traces.